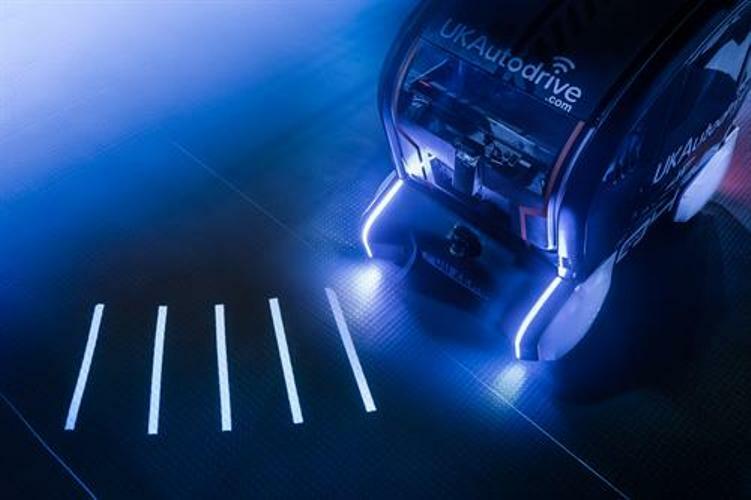 Jaguar Land Rover has partnered with an autonomous vehicle development company to develop a system that projects the direction of travel onto the road ahead of self-driving vehicles which will other road users what it is going to do next. The intelligent technology beams a series of projections onto the road to show the future intentions of the vehicle. 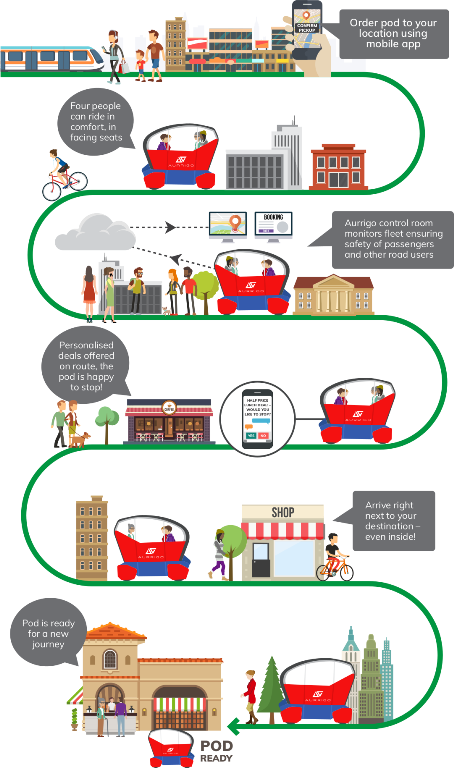 One example is when it’s about to stop, another is a change of direction, and it’s all part of research into how people can develop their trust in autonomous technology. In the future the projections could even be used to share obstacle detection and journey updates with pedestrians. 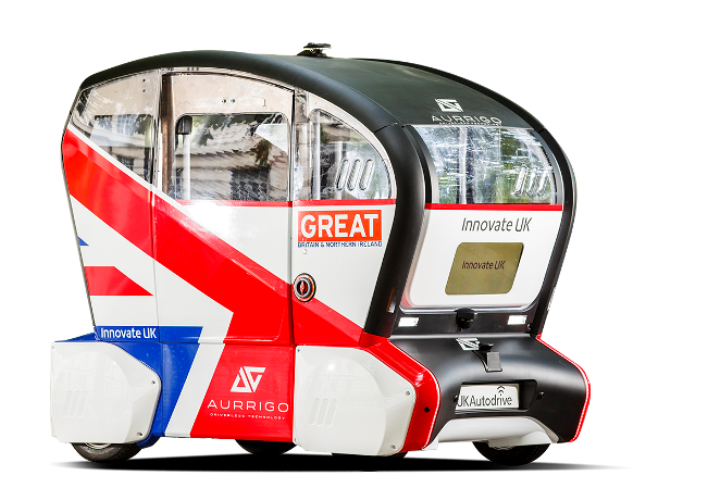 Aurrigo, a company specialising in developing autonomous vehicles, has developed autonomous pods, and the projections feature a series of lines or bars with adjustable spacing. The gaps shorten as the pod is preparing to brake before fully compressing at a stop. As the pod moves off and accelerates, the spacing between the lines extends. Upon approaching a turn, the bars fan out left or right to indicate the direction of travel. Jaguar Land Rover’s Future Mobility division set up trials with a team of advanced engineers that were supported by cognitive psychologists, after studies showed 41 percent of drivers and pedestrians are worried about sharing the road with autonomous vehicles. Engineers recorded trust levels reported by pedestrians after seeing the projections and before. The innovative system was tested on a fabricated street scene at a Coventry facility. “The trials are about understanding how much information a self-driving vehicle should share with a pedestrian to gain their trust. Just like any new technology, humans have to learn to trust it, and when it comes to autonomous vehicles, pedestrians must have confidence they can cross the road safely. 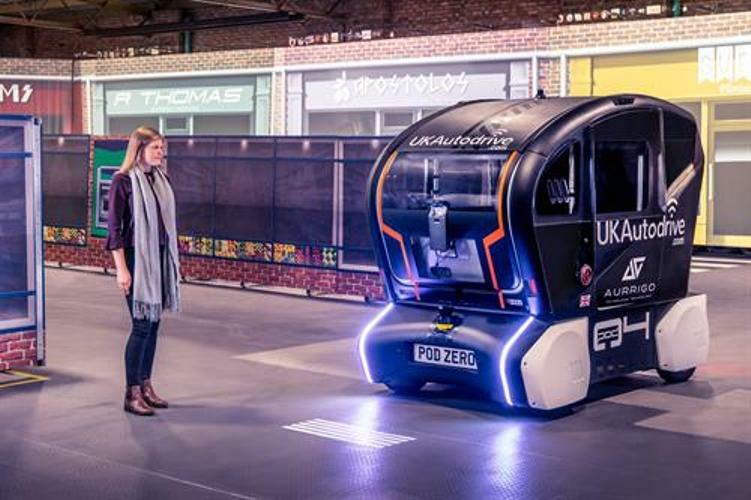 This pioneering research is forming the basis of ongoing development into how self-driving cars will interact with people in the future.” said Pete Bennett, the Future Mobility Research Manager at Jaguar Land Rover. Safety remains the priority as Jaguar Land Rover, investing in self-driving technology, aims to become automotive leaders in autonomous, connected, electric and shared mobility. The trial is aligned with the brand’s long-term strategic goals: to make cars safer, free up people’s valuable time, and improve mobility for everyone. This commitment extends to Jaguar Land Rover’s current models with a suite of Advanced Driver Assistance Systems including Adaptive Cruise Control, Blind Spot Assist and Intelligent Speed Limiter available across its range of vehicles, including the Jaguar F-PACE and Range Rover Velar. (With thanks to JLR and Aurrigo). I am very interested in this self drive vehicle technology. As a very lucky baby boomer, I look forward to this technology to keep me on the road for much longer. Plus all the independence that comes with the same.